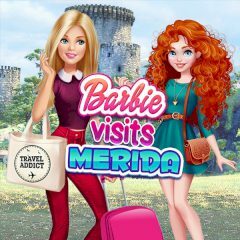 Barbie always wanted to visit Merida, but she promised other girls to see their homes. Well, it's time for Merida to enjoy Barbie's company. Help her to come around and create comfortable conditions for your friend.